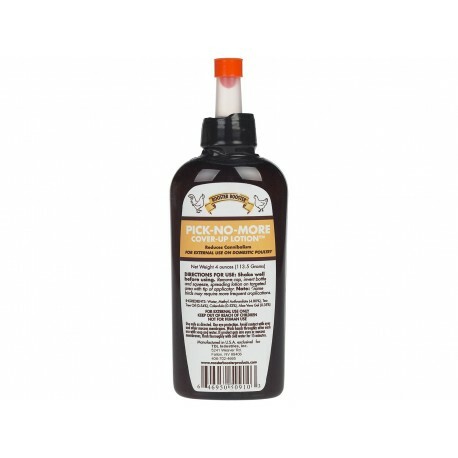 .50% permethrin To protect BEEF, DAIRY , HOGS, SHEEP, HORSES AND GOATS from horn flies, face flies, house flies, mosquitoes and gnats apply a light mist. 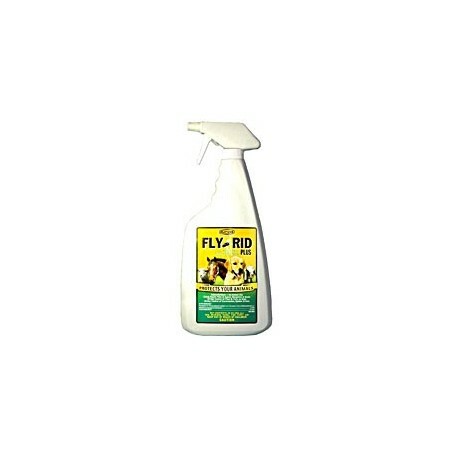 To control Stable flies, horse flies and deer flies on LIVESTOCK apply at a rate of 2oz per animal sufficient to wet the hair thoroughly. 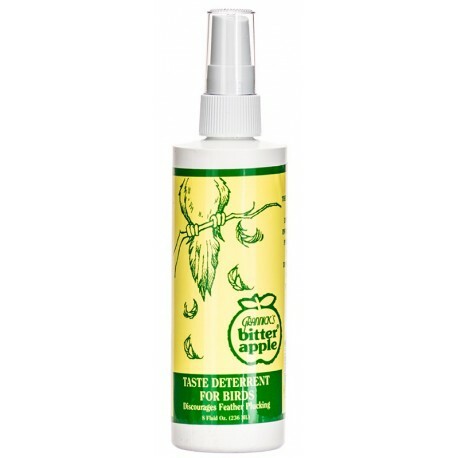 Rooster Booster Pick-No-More Lotion controls cannibalism in poultry in a convenient squeeze bottle with applicator. Active Ingredients:Aloe Vera Gel, Calendula (Marigold), Cresylic Acid, Coal Tar Distillate, and Tea Tree Oil. Not for sale in NJ or LA. 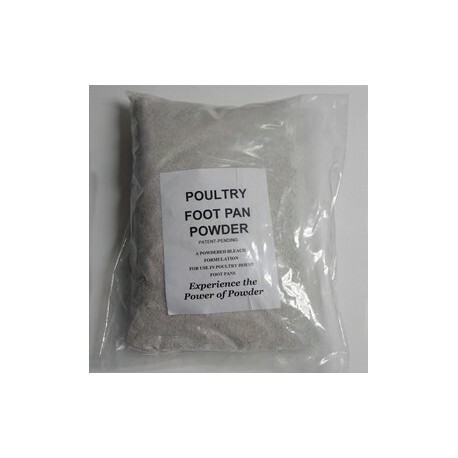 A proprietary blend of powdered chlorine, deodorizers and zeolites, specially designed for use in poultry house foot pans. 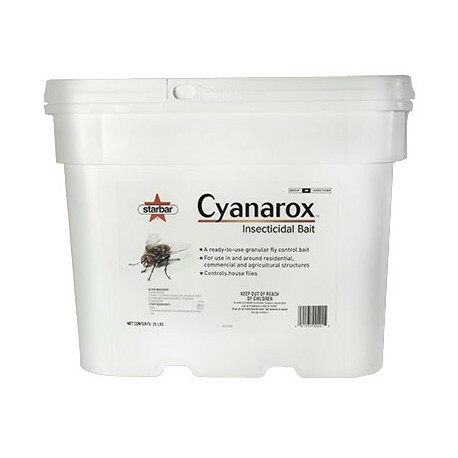 The unique formula provides up to 2-3 weeks of cleaning and deodorizing efficacy and has been proven to be a far superior alternative to liquids and other water-based compounds when used in foot pans. A quick and easy way to clean your eggs without the need for rags or sponges! 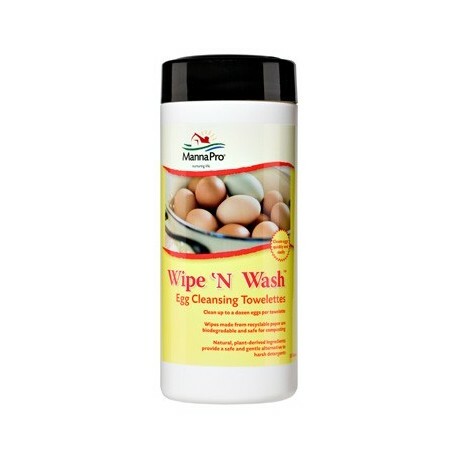 Clean up to a dozen eggs per towelette. Wipes made from recyclable paper are biodegradable and safe for composting. Natural, plant-derived ingredients provide a safe and gentle alternative to harsh detergents. Using Poultry Vinegar benefits your chickens. It will cut soap and allow it to be removed from the plumage. 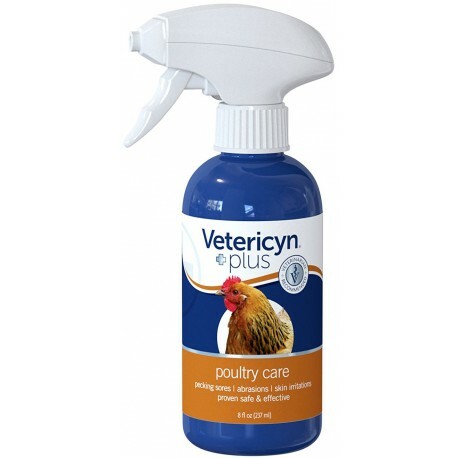 Gives your birds lustrous and healthy looking feathers that won’t stick or streak. Grannick's Bitter Apple for Birds is a taste deterrent for birds. The powerful taste deterrent invented by a pharmacist in 1960 discourages feather biting and picking. 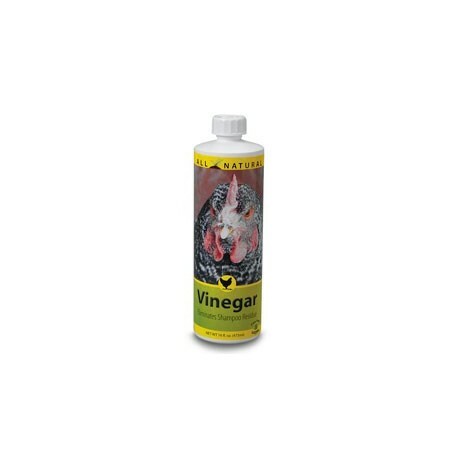 Allows healthier plumage with moisturizers and a surfactant that are able to retrieve moisture from the air to add freshness. 4oz spray.